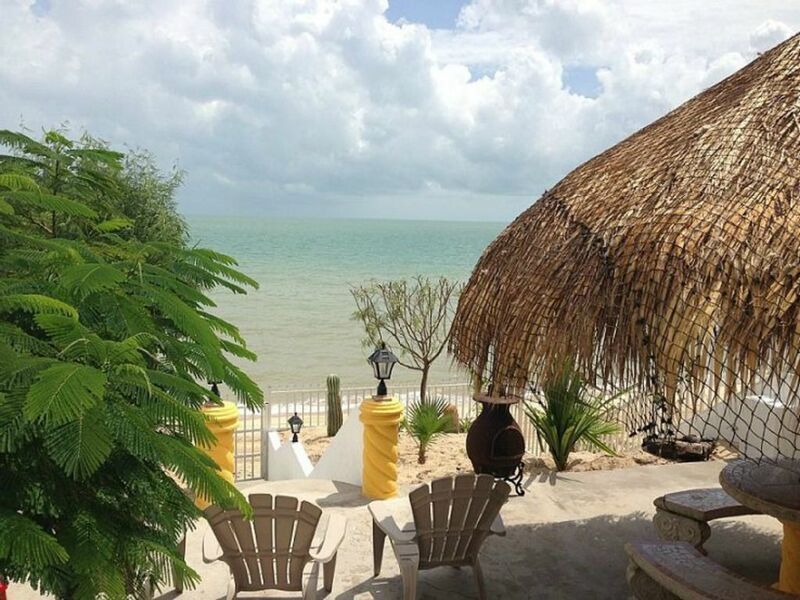 Casa Palmas - another amazing vacation rental by MySanFelipeVacation, San Felipe's #1 vacation rental agency. Thanks for checking out my listing. I'm Erick and run MySanFelipeVacation vacation rental homes in San Felipe. I'm originally from San Felipe. I moved to the US as a kid and went to school in Oroville, California. I moved back to San Felipe, got married and have two beautiful kids. Growing up in the US, I learned a lot about the high standards guests expect and have brought this experience to all properties I manage. My listed homes are owned by Americans and Canadians who visit once or twice a year. When owners are not in town, the home is available to reserve. Each home's decor is unique in that it reflects the owner's style. My goal is to help you enjoy San Felipe to the fullest. When you reserve any of my homes, I will send you an email with a list of things-to-do both locally in San Felipe and some which are day trips. (I am not able to share this with you now as this site does not allow adding website links). Depending on the length of your stay, you get to chose which you'd like to do. One of the trips I recommend is doing a fishing trip to Konsag essentially a fishing and sightseeing trip. All this and more will be in my list of things to do email. One question I get pretty often is whether we use non-toxic cleaning products while cleaning properties I manage. The answer is YES . We use organic cleaning products sourced from the local Prolisa organic store. Our guests appreciate this and it is also better for our cleaning crew who regularly come in contact with the cleaning products. During your stay, please do not hesitate to contact me with any questions or if you need tips. I look forward to hosting you. Guest provide needed kitchen condiments. One street level is wheelchair accessible. The house was really nice. But it smelled so bad like dead animal all the time we were there. Especially down were the rooms were.The beds need to get better they need new mattresses.The bunkbeds mattress are to big and need good clean sheets.It needs a good deep cleaning. Also they need to say that one room is outside not attached to the home. Love that it's close to the beach but they need to really need to upgrade becuase for the price I have rented other homes there in San Felipe with way better beds and No smell. Oh and we had no grill it didn't work 😣� Also the fridge was not working that well. The freezer yes but not the bottom.Everything else was good we had fun. The beach, people there were very nice and it was a calm family place. We will definitely go again to San felipe next year. This is our 3yr going not to the same house but loved it like always. Beautiful, spacious home with amazing views! We stayed at this property for Memorial Day weekend. There were 14 adults and 3 small children in our group, but we did not feel crowded due to the large amount of space this property has! Everyone was comfortable and had a great time. There is a grocery store a short drive from the property which made it very convenient to prepare meals instead of going out to eat. The only negative comment we have is that one of the toilets stopped working during our stay (the flush handle/chain broke very easily) and the refrigerator did not get very cold (even on the coldest setting), so the fish we caught and cleaned ended up spoiling due to the heat. We called the rental company and they said they would take care of it right away. Other than that, we loved this place! We will definitely plan more family vacations here.